It’s time. You want to know how serious he is about you. 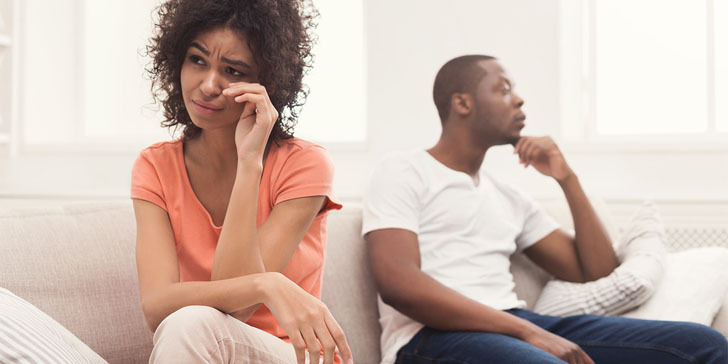 Maybe the relationship has been going really well, but you’re worried about getting too committed before you find out how he feels about you. Maybe you’ve been dating him for a while, and it’s getting close to “put up or shut up” time. Or maybe you just have to know, one way or the other. Whatever the reason, right now it’s time to find out whether he’s serious about you. 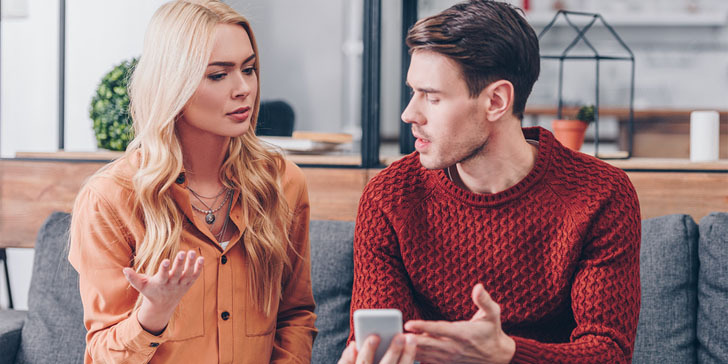 This article will give you the biggest signs a guy isn’t serious about you – so you can figure out fast whether he’s got potential or you might be wasting your time. When a guy is serious about you, it means you’re important to him. He’s going to follow through with what he said he was going to do. Why? Well, when a guy is serious about a woman, he’s obviously hoping that she feels the same way about him. He knows that if he treats her like she’s unimportant or flakes on her a lot, she’s going to give up on him and move on. So he makes it his priority to follow through with her. If he’s flaking on you all the time or cancelling at the last minute, it means he’s not overly concerned about your feelings… which is a big sign he’s not that serious about you. Being really open around someone else requires trust. It means that you trust them not to reject you when you’re at your most vulnerable. In any good relationship, both partners are comfortable being open around each other – because they trust each other. But being open with someone new can be scary. If he’s never open around you – if he’s always wearing a “mask” or never really lets himself be vulnerable, it means that he’s either too nervous to be open around you, or he doesn’t think it’s worth it. Obviously, if you’re at the very beginning of your relationship this isn’t as big a deal, but if you’ve been together long enough that you should start opening up by now and he hasn’t, it’s a sign that he’s not all that serious. When two people are in a close relationship, they’re not just dating each other. They’re also sharing their lives together. And that means sharing the people that are close to you. It’s a classic step in any relationship to meet your significant other’s friends, and eventually, family. Those are the people who he thinks most highly of, and they’re the people whose opinions he most respects. If he’s serious about you, he’s going to want you to meet his friends and family, not only to show them who he’s dating, but also so that you can see that side of him and grow closer as a couple. If he keeps you away from his friends and family… it’s a sign that he doesn’t really want the relationship to progress any further. Good relationships are all about intimacy. And intimacy can only grow when two people trust each other enough to be truly vulnerable around each other. If it doesn’t feel comfortable to be with him, or he doesn’t seem comfortable when he’s with you, that’s a huge obstacle to a deepening relationship and to intimacy forming between you. Great, lasting relationships only happen when you can truly be yourself around someone else and they can be themselves around you, without any fear of rejection. If it’s not comfortable being together, it’s a sign that you might not be compatible with each other – which is a big sign that things aren’t going to get serious. I talked about this a little bit earlier, but it bears repeating: if a guy is really serious about you, then you become important to him. You become one of his priorities. That’s not to say that he’s going to drop everything and spend 100% of his time with you – it just means that he’s going to treat you as important and make an effort to spend time with you and balance his life with a commitment to you in it. So if he’s always busy, or he’s never really got time to be with you, it’s a big sign that he’s not treating you as an important part of his life – because he’s not serious about you. If he’s really feeling like things could get serious and he’s serious about you, he’s going to want to know everything he can find out about who you really are. Why? Because if he really sees a potential future with you, he wants to know what that future is going to hold! He’s going to be really interested in what makes you tick, in who you are underneath the mask, in who you really are as a person, so that he can figure out how far he can see things going between you. If he doesn’t even have the curiosity to find out anything about you while you’re dating, it means that’s not that important to him… which again is a huge sign that he’s not serious about you. These don’t necessarily have to be huge plans like the future of the relationship or anything like that. For this example, it can be as simple as a birthday party invite a month in advance, or something like that. A guy who never wants to make plans in the future with you and only hangs out on a daily basis is a guy who’s not that serious about the relationship. So if all your dates and hangouts start from a text and happen that night… if you never plan to do anything a week or a month in advance, it probably means that he’s not that serious about you. Your instincts are going to be your best guide in your love life. When your heart is screaming at you trying to get you to believe something, your gut is going to be a far better guide as to whether it’s true. You’re here because you’re looking for signs to confirm whatever you’re hoping is true. Maybe you’re really hoping he is serious about you, and you want to find signs that support that belief. But take the time to ask yourself whether you really believe he’s serious, and answer yourself honestly. The immediate feeling in your gut will give you a better answer than hours of rationalizing or agonizing over it will. This one is pretty obvious. If he doesn’t want to call you his girlfriend or put labels on the relationship, it’s a pretty big sign he’s not that serious. Guys want to avoid labels when they’re not that into a relationship and want to keep the status quo. As soon as they feel a push for some sort of relationship label, an uninterested guy will try to shut it down as fast as possible. Why? Because he likes things exactly as they are, and doesn’t want them to progress any further… because he’s not all that serious about the relationship in the first place. At the end of the day, the most important aspect in any relationship is trust. You have to have trust in each other in order to be vulnerable and open, to have trust to be faithful to each other, and to have trust to be nurturing and respectful of each other. Without trust, none of the intimacy and closeness of a good relationship can grow. So you know, in your gut, whether you trust him, and you can feel whether he trusts you. It’s simple to tell if there’s trust in a relationship when you’re honest with yourself – there either is or there isn’t. Obviously, trust takes time to grow, so don’t freak out if you’ve just started dating and don’t deeply trust each other yet. But if you’ve been dating for a while, and there still isn’t any real trust between you… unfortunately it’s a big sign he’s not serious about the relationship. It seems like this should be an obvious sign, but it’s not. Lots of guys will tell a woman that they don’t want anything serious, but then attach an excuse to it. The problem is that when a guy does that, lots of women hear the excuse part, but completely ignore the “I don’t want anything serious” part – when that in fact is the most important thing the guy said. If he said he doesn’t want anything serious, the excuse he gave as to why doesn’t matter. The excuse is to try to make you feel better about the first half of the sentence, which is the important part. No matter what his excuse is, if he tells you he doesn’t want anything serious, you should believe him. Even if the excuse goes away, his reluctance to get in a serious relationship with you almost certainly won’t. He flakes on you all the time. He doesn’t let himself be open around you. He doesn’t want you to meet his friends or family. You don’t feel comfortable around each other. He doesn’t make time for you. He’s not curious about who you are. You never make future plans together. Your gut is telling you he’s not. He doesn’t want to call you his girlfriend. He doesn’t trust you (or vice versa). He says he doesn’t want anything serious. Should i go and visit his him or no? Why does a guy say he wanted to tell me why he’s been so distant says he lost his brother 2 years ago and it’s killing him . Says he just wanted me to know because he doesn’t want to lose me but then stops texting / all contact and won’t respond to any texts or calls ? Is this just an excuse to get out of a relationship ?? Should I just stop texting and trying to reach out to him ? Hello how you guys doing today well I’ve been seeing someone for about 2 months now and he wants to know all about me he’s very open around me we very comfortable with each other and he doesn’t want anything serious because he’s always traveling in and out of town so I mean I respect that and I understand that but I don’t know but he did make it clear that he didn’t want a relationship when we first met but when I say that my future plans what I want to do I mean he includes his self in it like he wants to help and when I say certain other things like he said there he tried to take me out he wants to get to know me and I figured him out like we are very comfortable so that the very confusing part for me..
Omg this is so true. I’ve been seeing a man for the last 4 months and to this day I hardly know anything about him. We meet only once a week as he has let me down many times during the weekends as he has ‘overslept. Whenever we arrange to meet he keeps me waiting for over 30 mins. That obviously shows he has no respect for me. He says he’s not good with time keeping but once when I wanted to end the ‘relationship’ he only turned up at my workplace. He hardly speaks to me on the phone & couple of times he’s put me down About my body. My gut tells me NO but every time I tell him look we aren’t compatible or we aren’t working, he gets into a sweat & tells me NO we will work.. I don’t know I’m so confused. don’t pretend you don’t know this. you know them and you see them, you just don’t want to admit and accept. ladies, you deserve the best, don’t settle. if he doesn’t want you to meet his friends and family, you have a problem. oh my gosh, these are all so true! women should know abput this! if he doesn’t open up himself to you and you feel he’s still reserved, he might not really be serious. a guy who flakes a ot isn’t serious about anything. if you’re with someone like this, better ask yourself if you really want to stay in the relationship..
something to really ponder on. women, be honest and assess your man before it’s too late. if he is not curious about who you are and doesn’t care about what you want, he’s definitely not serious at all. all true! women should always be reminded of these signs. ladies, ladies, ladies! stop what you’re doing and READ THIS!! most women only want time from their partners. and if he doesn’t have this nor even make an effort, he’s definitely not serious about you. if you realize he’s not serious with you, i hope you can still get out of the mess and move on. i am so relieved knowing he’s not doing any of these..